Note 1: Like Nekketsu games? Check out all of my Nekketsu reviews (plus Super Dodge Ball!). If you’re interested in other Game Boy reviews, check out my reviews of Fatal Fury 2 and I’m Kid Dracula! Note 2: This game was inserted into a Super Game Boy adapter and played on a Super Nintendo Entertainment System. The SNES console was connected via S-Video cable to a 32-inch HD tv. 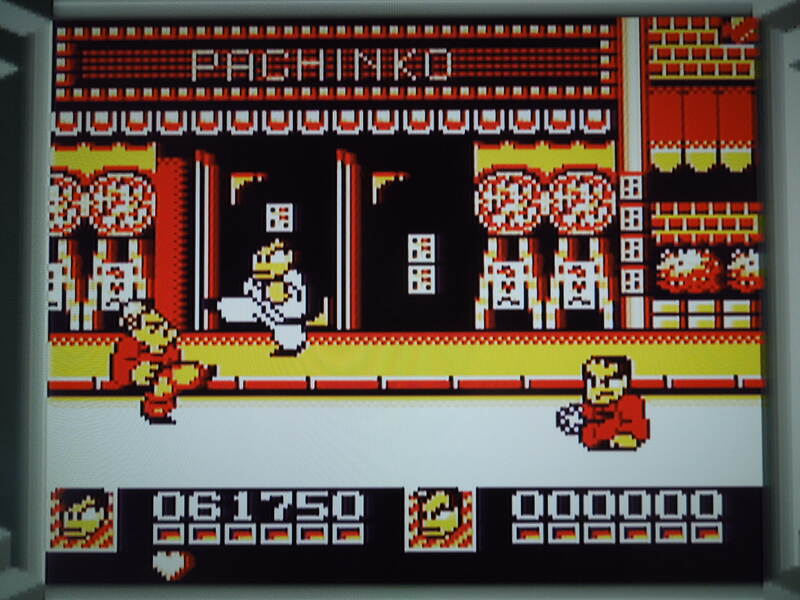 Bangai Ranto Hen was re-tooled and released in the U.S. as Double Dragon II. 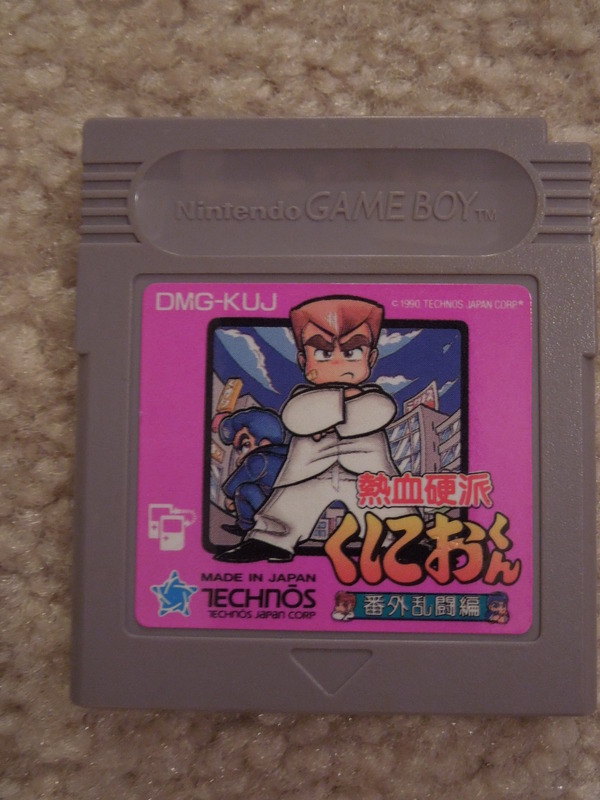 Quick History: Nekketsu Koha Kunio-Kun: Bangai Ranto Hen – translated – Nekketsu Tough Guy Kunio: The Further Brawls was released for the Game Boy only in Japan in 1990. 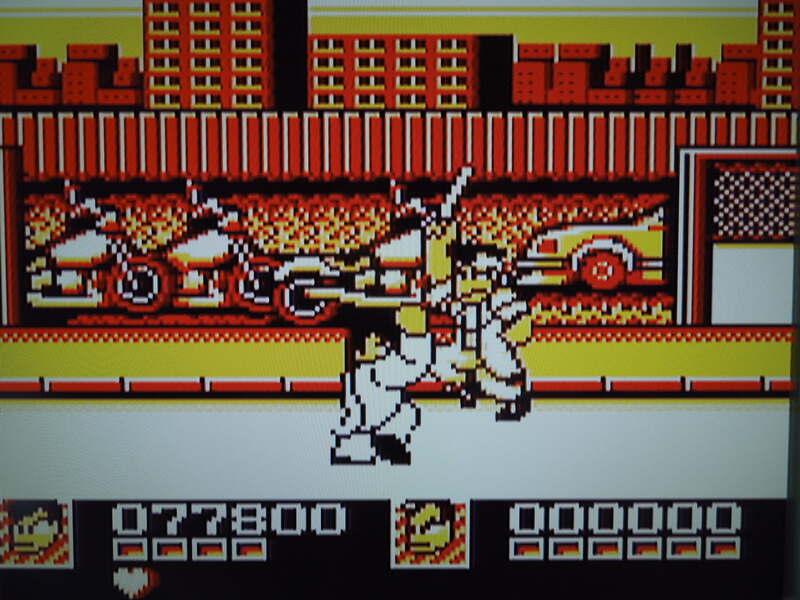 In the U.S., the game was re-tooled (with different music and characters) as Double Dragon II. Story: From everything I can gather, a rich man has moved to town, and he has a spoiled son. The son, Yuji, falls in love with Miho, a girl in town. Yuji tries to kidnap Miho, and a kid named Hiro defends her, and ends up taking a beating from Yuji and his thug friends that hospitalizes him. Hiro was a good friend of Kunio, so Kunio along with his other friend Riki, takes to the streets to fight Yuji’s gang and ultimately track him down. 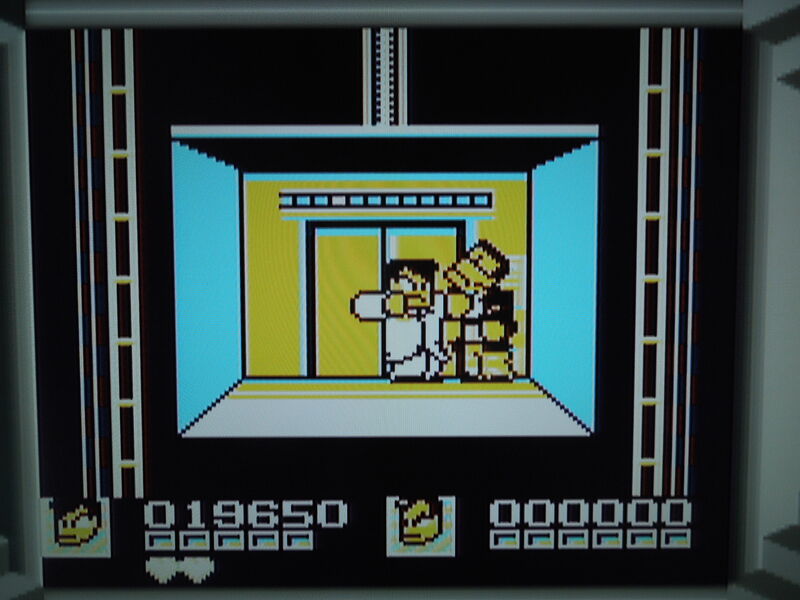 Kunio’s buddy Hiro gets sent to the hospital, and Kunio seeks revenge. Gameplay: Bangai Ranto Hen is a very simple Beat ‘Em Up. Walk right, punch and kick a variety of bad guys with a boss at the end of a stage, repeat. You have 3 lives, represented by hearts, and you cannot gain any extra lives in any way. You have a health bar of 6 blocks, and as you get pummeled by bad guys, you lose blocks. Every time you clear a round, your health bar replenishes itself, with the exception of the last level. If you lose all of your lives, you can select Continue to go back to the beginning of the most recent stage you were on. You have a score counter, but it doesn’t grant you extra lives when you ascertain high scores or anything like that. Grabbing punks for a good rough-housing is good fun. Difficulty: There are 3 difficulties: Easy, Medium, and Hard. On Easy, you can only play through the first few stages before the game halts your progress. Beating the game on Medium is not too tough, however. Control: You control Kunio (1P) or Riki (2P). Very simple controls. A punches. B kicks. While punching, pressing Toward + A grabs an opponent by the neck and pummels him with rapid punches. Pressing Toward + B once you have been punching an opponent throws him. When an opponent is down, pressing A or B executes a jumping stomp. 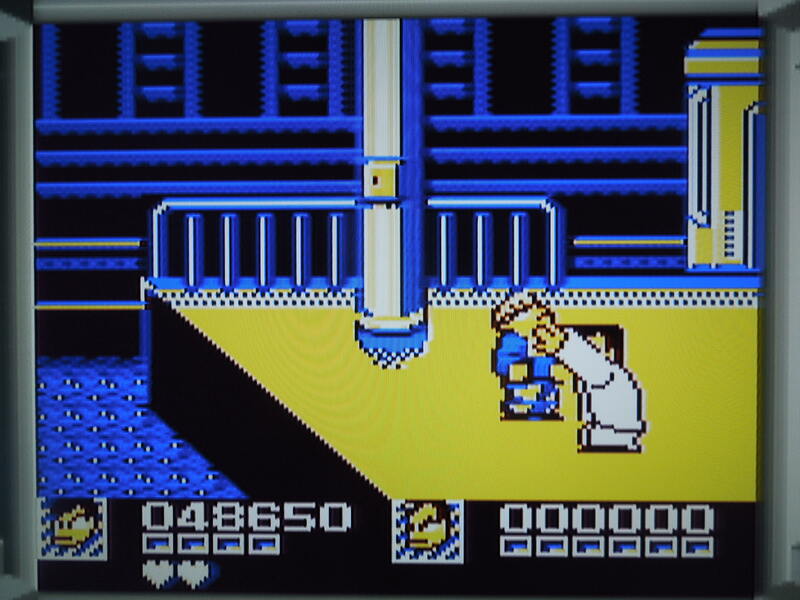 Pressing A + B makes your character crouch, then pressing A or B executes a jumping uppercut (like Ryu in Street Fighter II). There is no other way to jump. That’s it. Simple, yes, but the game’s controls do work well. You can execute throws by pressing Toward + B with a grabbed opponent. Music & Sound: I’m actually rather impressed with the music. Different tracks play on different stages, and they suitably convey a sense of ‘revenge.’ The punches, kicks, and throws all sound adequate. Weapons? Health Pick Ups? 1 UPs? Nope – none of those are here. 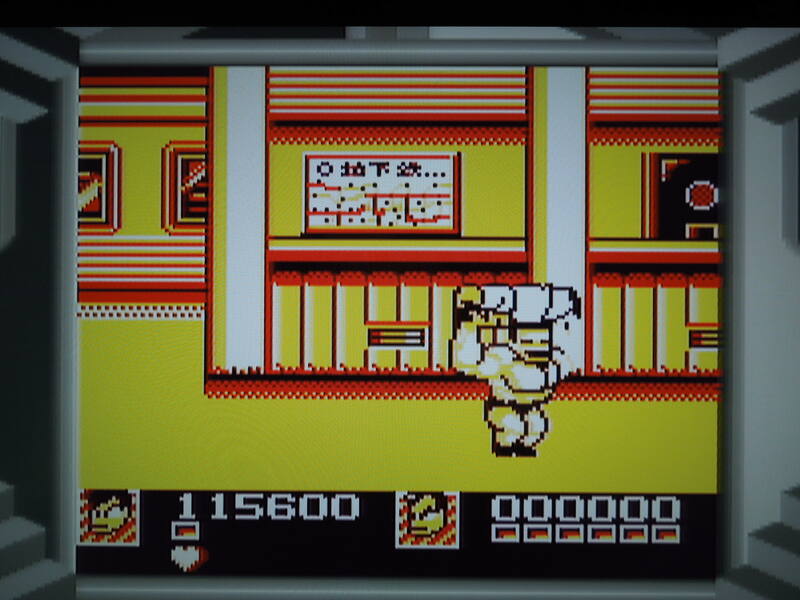 Some bad guys carry chains, knives, or guns, but you can’t take them from them and use them like you could in a similar Kunio-kun game like River City Ransom. How does the game look on a Super Game Boy? Quite good! This game was not designed to take advantage of the Super Game Boy (like Nekketsu Volleyball), so you’ll want to pick out your own color palettes to make the game look as good as possible. I found several good color combinations. The only thing that was disappointing about playing on a Super Game Boy is that there is no way to play 2 Player Co-op. Nekketsu Volleyball allowed for 2 players to play using 2 SNES controllers, but sadly, that option is not available here. The only way to play 2 Player Co-op is the original way – 2 Game Boy handhelds, 2 cartridges, and a link cable. A map screen shows your progress between levels. Language barrier? No, not really. 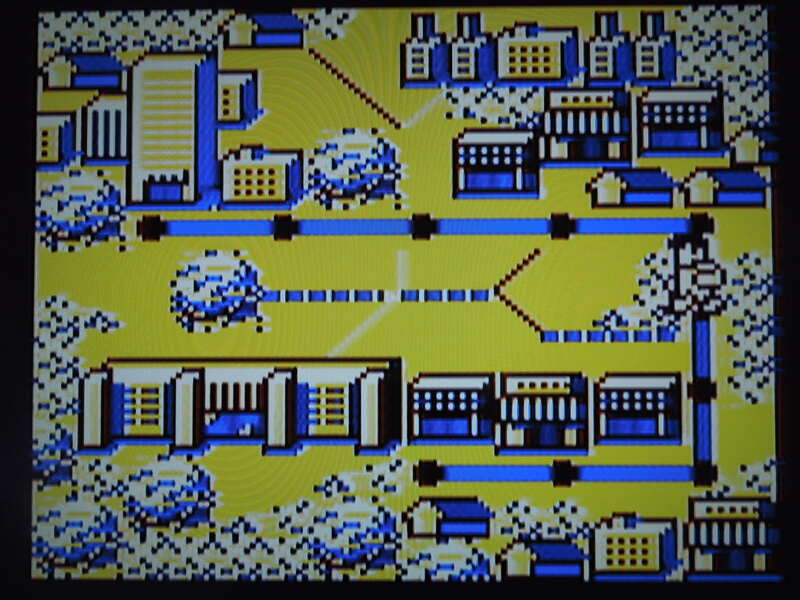 On the main screen, the ‘1 Player Start, 1 Player Continue’ is in English, but at the bottom of the screen, the difficulty levels are in Japanese, but it’s easy enough to figure out Easy (left), Medium (center), Hard (right). 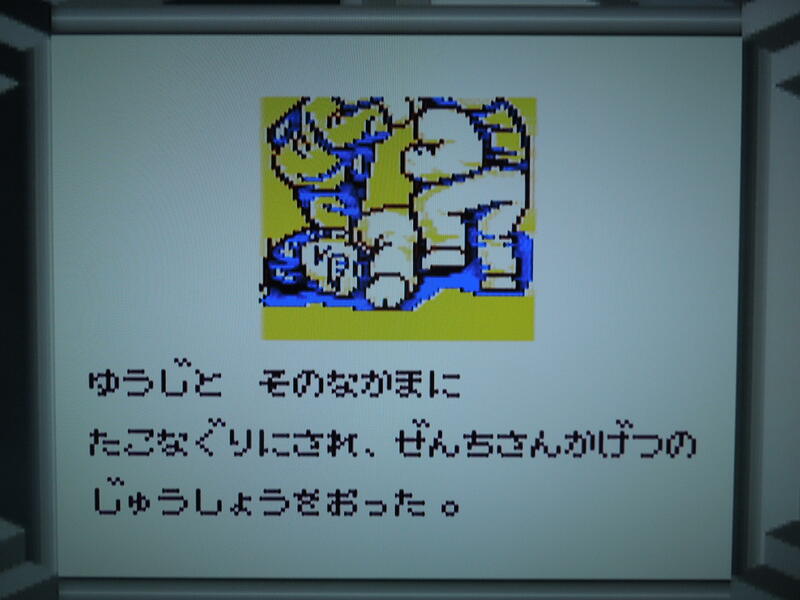 The game’s story is in Japanese, but the cutscene pictures tell the story well even if you can’t read the language. In some stages, store backgrounds are in English. The bosses are the highlight of the game. Battery backup or password feature? Neither. The game is not long at all, and you can probably beat it all the way through in approximately 30 minutes. The ‘1 Player Continue’ option simply becomes available if you lose all your lives. If you power off your system, you’ll have to start back at the beginning. So, where can I find this game? Easy to find on eBay. You can also play the rom on a computer emulator – I believe there’s even a translated version. Most of the bosses aren’t much tougher than the regular enemies. Conclusion: Bangai Ranto Hen is an extraordinarily simple game. Unlike other Nekketsu Beat ‘Em Ups, like River City Ransom, there’s no ‘experience system,’ no collecting money, no taking weapons from bad guys, no buying items in shops – just a straightforward Beat ‘Em Up. This wouldn’t be so bad if there were more variety to the stages and fighting. Many of the stages (there aren’t many) are identical repeats of previous stages. There is one stage where you start on the end of a pier, and you can be thrown off by enemies for an instant death, so watch out (you can also throw them off). The best part of the game are the bosses – a boxer, a martial artist with a kendo stick, a body builder (looks like an old school Arnold Schwarzenegger), a sumo wrestler, and finally, Yuji – they all look great. The end of the game has you run the gauntlet of bosses you’ve already beaten before facing Yuji. The biggest disappointment I had with this game was being unable to play co-op on a tv – this might have made the game a bit more fun – still the control is good, and so is the music.